Donald Trump has already made some big changes in the few weeks that he has been president, and he has promised to make big changes to the tax laws. If he moves on taxes the way he has moved on other major issues already, he is likely to sign an executive order and push things into law as quickly as possible without bringing things through the House and Senate. That means you could see big changes on your taxes starting as early as next year. Under the top tax bracket, people pay 39.6 percent of their income in taxes. Trump has proposed lowering that to 33 percent. That 6.6 percent can add up to quite a lot if you make six or seven figures per year. Trump has said that these tax cuts will not contribute to the deficit, but he has not explained how the cuts would be offset. Many of the wealthiest people in the country don’t actually make an income. They make a lot of their money through investments or through inheritance. Trump’s proposals would lower the taxes on some of these revenue streams, as well. Trump has proposed lowering the tax rate on capital gains (returns from investments), and he wants to eliminate the estate tax, which is only paid by the top 1 percent of people in the country. Right now, there are seven tax brackets that determine the tax rate you have to pay based on your income. Trump has proposed simplifying the tax code by eliminating some of those tax brackets. Under his plan, there would be three tax brackets: 12 percent, 25 percent, and 33 percent. It’s not clear yet how this change will affect individual taxpayers or the economy. Some individuals could end up paying more tax if they are moved into a tax bracket with a higher rate. For example, those who are in the upper part of the current 28 percent tax bracket would get bumped to the 33 percent tax bracket. However, most individuals would end up paying fewer taxes. The Trump tax plan also proposes to lower taxes for certain low earners – to nothing. Single taxpayers who make less than $25,000 and married taxpayers who make less than $50,000 would not have to pay any taxes under the plan. These changes have not been enacted, so it remains to be seen if they will be. Even if they are enacted, it is uncertain if the changes will be instituted in 2017. The Trump tax plan also proposes to lower the C Corporation corporate tax rate to 15 percent. The plan proposes this change to all people operating a business, including the owner of a large, national chain and the owner of a small startup. Again, this change has not yet been implemented, and it is unclear when it will be. If it is enacted this year, it could bring big changes for many taxpayers. Once everything that was promised is passed (if it is), there could be a lot of changes. Other potential changes on the horizon include taxpayers needing new ITINs, a higher percentage of adjusted gross income for medical deductions for seniors, and new due dates for tax filings and forms. If you find yourself in legal or financial trouble because you don’t keep up with the changes (or aren’t aware of them), you can work with a Tucson tax law lawyer. 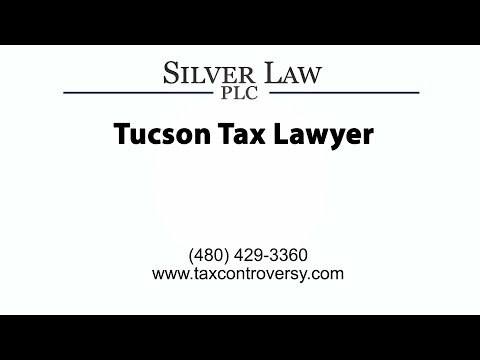 Silver Law PLC helps Arizona residents with civil and corporate tax matters, including audit representation, tax litigation, tax collections, and offshore reporting issues. We also help individuals with issues like innocent spouse relief. Call us in Arizona today to talk with an Arizona attorney for tax law about your concerns.